It's time to enjoy some yummy popcorn the old fashioned way! This full sized fanciful popcorn cart includes 70 servings of pre-measured super tasty popcorn along with enough 1.25 oz popcorn boxes for all of your guests. 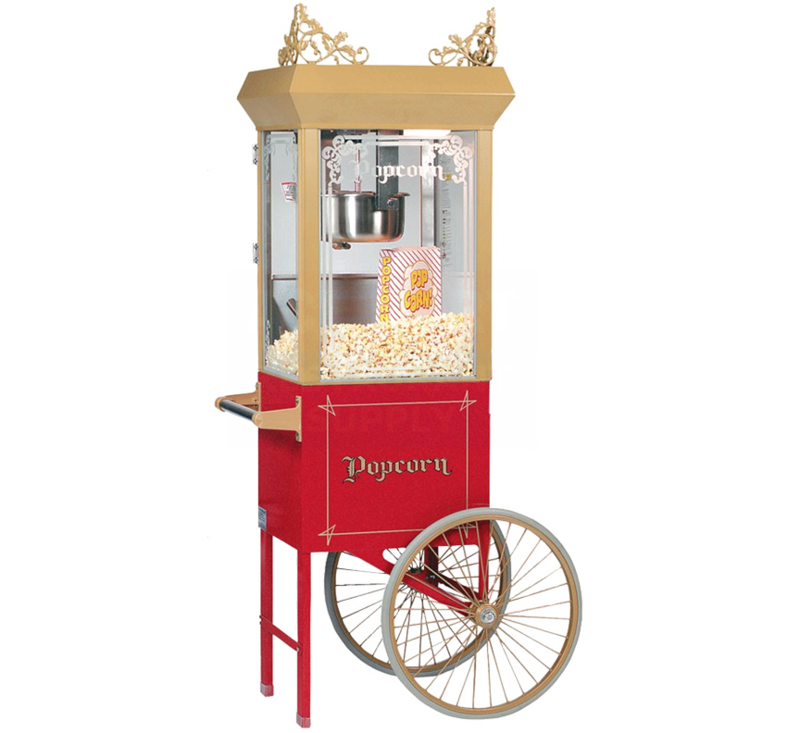 Great for movie nights, carnivals, block parties, school & church events or any other occasion where only the yummiest popcorn will do!